Raw food diet weight loss is a popular reason for eating uncooked foods. Here are some reasons why eating your foods au natural to lose weight really works. Weight loss via raw eating can be summed up in the old joke about the Sundae Diet. Eat an ice cream sundae on Sunday and only raw carrots for the rest of the week. 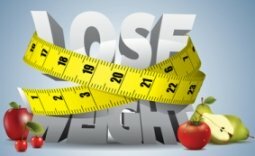 You may have chuckled because you know that this diet will certainly help you lose weight even without trying it for a week. The key is the raw vegetables. 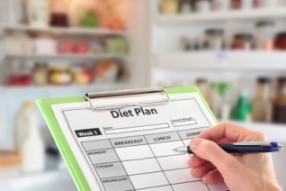 Here are a few reasons why a mainly uncooked food diet is ideal for effective weight loss. 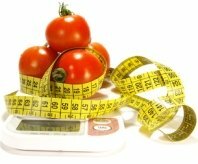 If you have ever bought into the idea that the way to lose weight was through eating a low carbohydrate, low fat diet, then look no farther than the raw diet lifestyle. Solely eating raw foods quite easily eliminates processed anti-diet ingredients such as white flour and sugar. The carbohydrates in fresh, raw foods are easily assimilated by the body and any fats found in foods such as avocados, nuts and olives are needed for specific bodily functions. The raw food diet eating plan may be the only low carb diet plan that actually works— not only to remove unwanted weight, but also in making you healthier. One of the main issues in health circles today is that of alkaline foods. Alkaline foods are related to pH and ultimately to weight loss. The pH scale is a range between 0 and 14. Foods closer to 14 are alkaline while foods with a lower pH are more acidic. The pH of the human body is about 7. All of the food you eat is either acidic or alkaline. Meat and most processed foods such as white sugar and while flour are extremely acidic. Vegetables are very alkaline and most fruits are only slightly acidic or more alkaline. The more acidic your body is the more susceptible you are to various diseases and obesity. When you adopt a more alkaline diet you will see the excess weight begin to leave. The glycemic index (GI) measures the effect of a food to elevate your blood sugar. Generally, foods that have a low GI does not raise your blood sugar and helps you to lose weight. Cooking food actually raises the GI of a food. Before I knew about the raw food lifestyle, I was planning on going on a low glycemic diet for weight loss. Truthfully, the low GI diet plan seemed so complicated, and worse still, some of my favorite raw foods such as melons, honey and pineapples were considered “bad” since they were high GI. On a raw food diet, nothing raw is considered “bad.” Melons are mostly water and simple sugars. The raw food diet is really low glycemic and is ideal for weight loss. Raw food is also called “living food.” What make it “live” are the actions of the chemicals called enzymes that are found in food. Enzymes are protein molecules found in all cells and are needed for every chemical reaction in your body. Most importantly, they help with digestion by breaking down proteins, carbohydrates, fiber and fats found in food. 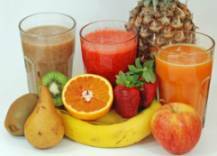 It is the function of enzymes found in foods to convert the food into energy that we need. This is simply called digestion. During the digestion process, the enzymes remove toxins. Raw foods naturally contain digestive enzymes. Using heat to process food in cooking destroys these important enzymes. This is a strong argument for a 100% raw diet. Food that is cooked and void of the important living enzymes will send your brain signals that you need to eat more and more. Your body craves nutrients, not necessarily food and that is why you may think that you're still hungry after a large, cooked meal. On a raw food diet, you may find yourself eating less food. Even if you eat less, you will be feeding your body more nutritionally and getting all of the important nutrients found only in raw, uncooked, living foods. The vitamins, minerals and enzymes will nourish your body, helping you to lose excess weight.